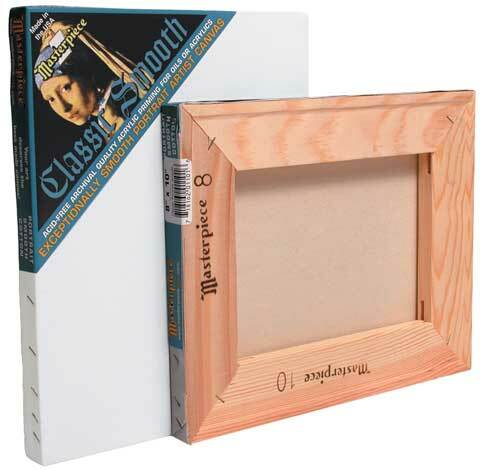 Classic Cotton Portrait Smooth is a high-quality, value-priced canvas with a staple-free 3/4" deep profile and keyable corners which allow for tension adjustments. Stretched using a premium grade portrait smooth acrylic primed cotton canvas that is ideal for portrait or fine detail work and Masterpiece's MasterWrap technology, it features a drum-tight, archival surface for oil or acrylic paints. Solid, finger-joint free, kiln-dried bars are milled with lumber harvested from sustainable forests in Oregon and California.